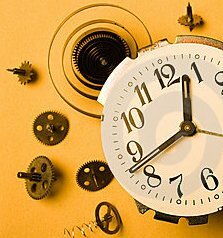 Today, I thought I would link to some samples I have shared from some of my novels in the past. Think of this as something like Show and Tell, but it is my turn and no one gets a turn but me… Oh, and everyone has to listen and applaud at the end with a hint of jealousy… oh yes, and run out and buy all my books and love me. Okay, maybe not all that, but you get the gist. I have two novels currently in print. They were both honored in a novel-writing competition before being selected for publication by a new indie press. They are Megan and My Problem With Doors. I am really proud of both books. Megan is the story of Megan Wane. Megan lives in two different worlds. In the real world, she is a very bored office worker, frustrated by the direction her life has taken and dealing with a micro-managing boss. In her fantasy world though, Megan is a princess superhero, The Great Defender. 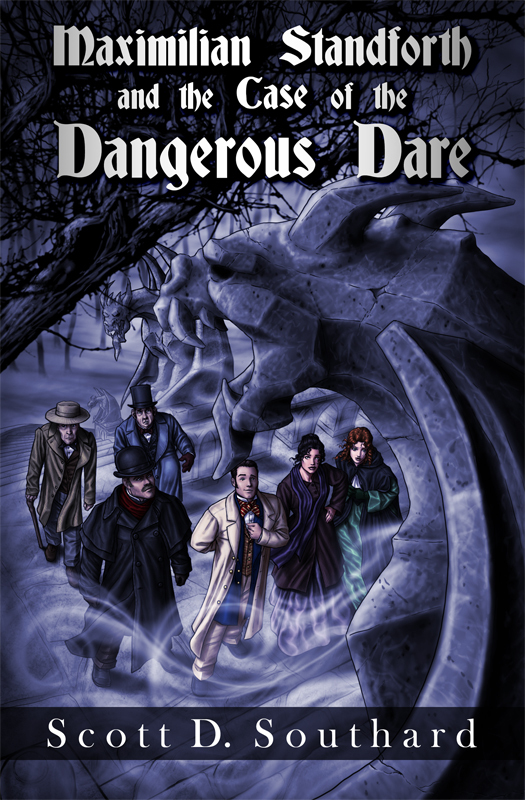 In this excerpt (here), Megan deals with a very “bureaucratic” dragon. You can find my book on amazon.com here. My Problem With Doors is the story of Jacob who has been stuck time traveling ever since he was a toddler. 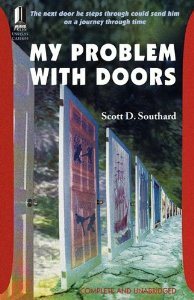 His “problem” is a unique one; doors do not work for him as they do for us, and when he enters one he never knows what he will meet on the other side. In this excerpt (here) from the novel, Jacob has dinner with Jack the Ripper. You can find the book on amazon.com here. 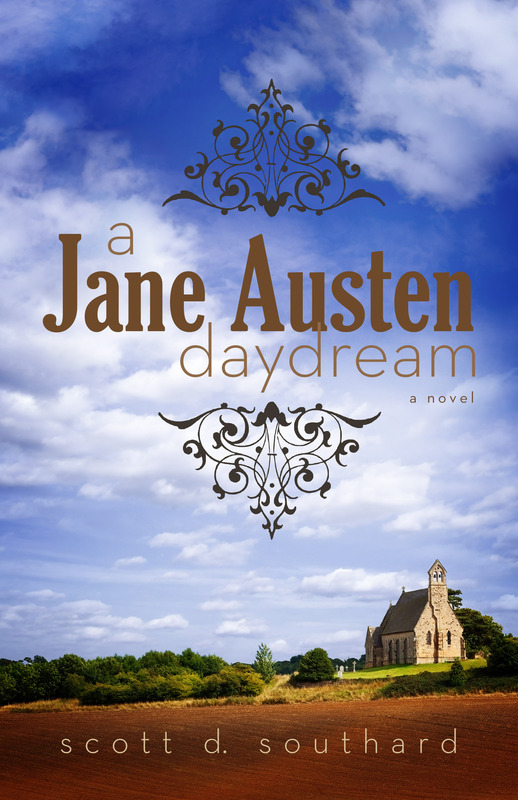 A Jane Austen Daydream is not a biography, it is not even close to being one. In the book, I am “retelling” Jane’s life as if she was one of the characters in her novel, giving her the love story she deserved and never had. This selection (here) is chapter two from the first part of the work. Thanks for reading! And please, if you like what you read, share the work on your page or share with your friends or buy the books or visit the Austen page or tell your aunt who is an agent about me or send me cookies… I like cookies. Who doesn’t? MICHAEL: (Flying in) Hello, hello. Sir. I received your page. What’s going on is something wrong? What is that you have there? In the hope of doing something different, I decided today to share a scene from my novel MEGAN. In 2009 it was honored in an international novel-writing competition which led to its publication with a new press out of Canada. It can be found on amazon.com here. It is also available as an ebook and audiobook by contacting the publisher or as an eBook from GooglePlay here. 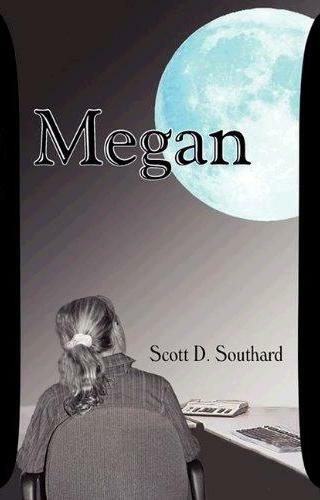 MEGAN is the story of Megan Wane, an imaginative soul who lives in two different worlds. In the real world, she is an event planner at a large firm, dealing with a micromanager and angry fellow employees; in her imaginary world she is a princess and secret superhero who is on a mission to save her world which was turned to blackness. Sometimes her real world slips into her imagination. In this scene Princess Megan and her two companions meet a terrifying and strangely bureaucratic dragon. “Greetings. Hello? Over here. Hi!” The great green dragon was standing in the middle of a large open field. The field (situated where the woods once were) was surrounded by yellow torches. All of the torchlight seemed to coalesce on the dragon, making the beast look larger in the contrast of shadow and the brightness. It was the first dragon Princess Megan had ever seen and it astounded her.